In the last weekend of July, over 400 Cooke Scholars gather to share their stories and connect with educational leaders for workshops, peer networking, and learning to make the most of the collegiate experience. Scholars Weekend is a four-day event hosted annually by the Cooke Foundation to provide tools that will enable our scholars to transition to the next phase of their education or careers. Our newly selected and our ready-to-graduate scholarship recipients also enjoy being able to build a strong community of support for one another. After Secretary of Education Arne Duncan’s inspiring words to welcome Cooke Scholars the previous evening, day two of Scholars Weekend was full of exciting workshops with more educational leaders. Activities concluded with a banquet dinner featuring a keynote address from General Colin Powell. During day three, Cooke Scholars hosted a talent show and heard from more engaging leaders, including Maya Ajmera from the Society for Science & the Public and a special recorded message from First Lady Michelle Obama! 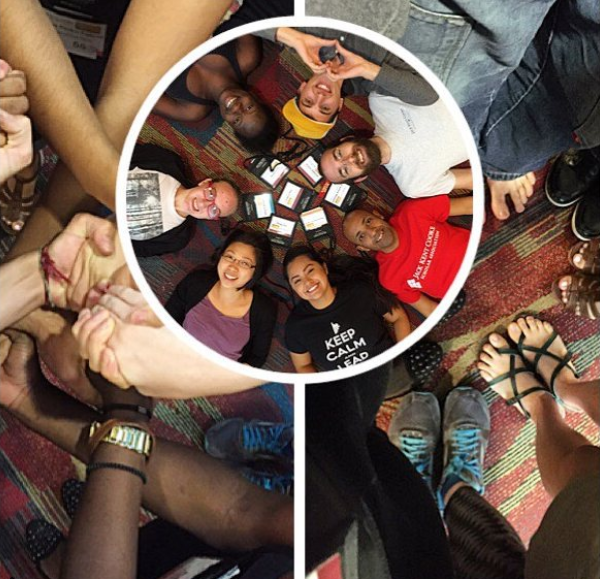 As the weekend came to end an end on day four, Cooke Scholars parted ways with friends new and old — until next year! @jkcfsw @thejkcf #JKCSW15 with the lovely @kadi_kaja #LizDong @travisguitar @bismarkc9 #AnnaGroves #TimGaura #ThinkBig #WorkHard #Achieve ??? Cooke Scholars and attendees — do you have any more memorable photos or experiences to share? Feel free to share or link to them in the comments below!